Walking Dead’s Jesus savior of Glenn? Home » ENTERTAINMENT » TV » Walking Dead’s Jesus savior of Glenn? Walking Dead fans nearly died when Glenn (Steven Yeun) fell to his apparent death in “Thank You.” He is pushed into a horde of zombies when Nicholas (Michael Traynor) commits suicide and stumbles into him. The zombies appear to rip Glenn apart but the close-up shot obscures Nicholas, who fell on top of him. Nevertheless, Glenn is still surrounded by Walkers. His fate seems sealed yet we don’t conclusively know. 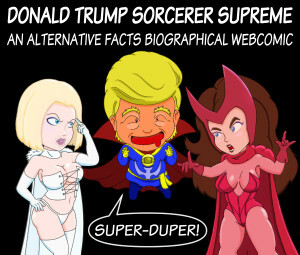 The comic book suggests at least a temporary reprieve. [spoiler] That version of Glenn dies when the warlord Negan bashes in his head with a barbed wire-covered bat named Lucille. [/spoiler] Negan will reportedly make his television debut in the season finale. Showrunner Scott M. Gimple reassures fans that we haven’t seen the last of Glenn. “In some way, we will see Glenn, some version of Glenn or parts of Glenn again, either in flashback or in the current story to help complete the story,” Gimple said in statement read by Talking Dead host Chris Hardwick. But it won’t be in the next episode “Here’s Not Here,” which will focus on Morgan (Lennie James) and how he became such a badass. The synopsis teases the appearance of new character, presumably the cheese maker who taught Morgan how to fight. That could be Paul Monroe AKA Jesus, who is without a doubt one of the toughest characters in the comic book. He’s like Michonne except his hands are weapons. The martial artist allows himself to be captured by Rick in order to test them and then just as easily escapes. Jesus recruits him to stop Negan from shaking down nearby communities including his own home, the Hilltop Colony. 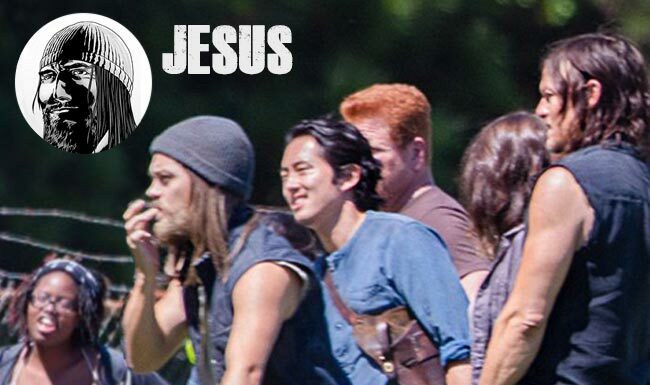 Photos have surfaced showing a very much alive Steven Yeun with Tom Payne, who has been cast as Jesus. The very fact Glenn was still filming scenes with a yet to appear character suggests he will survive…at least for now. If anyone can save someone, it’s Jesus. Hardwick announced a surprise cast member would be on the Talking Dead panel for the following episode. This is occasionally a killed off character but Hardwick told the audience not to read into it. Given it’s a Morgan episode, it seems more likely that the guest will be Lennie James or possibly Tom Payne should he make an appearance in the episode.